do bugs think that they are pets? this room is huge and this one bug will not leave me alone...landing on my knee and flying around my space. don't they know how annoying and gross they are? don't they know that they're just asking to be smashed with a shoe? i'm not proud, but i'll do it. i should not be discussing bugs right before i talk about baked goods. it's gross. what's wrong with me. i feel strange. my decisions right now are definitely questionable. but at least i did one thing right today. french toast flavors. 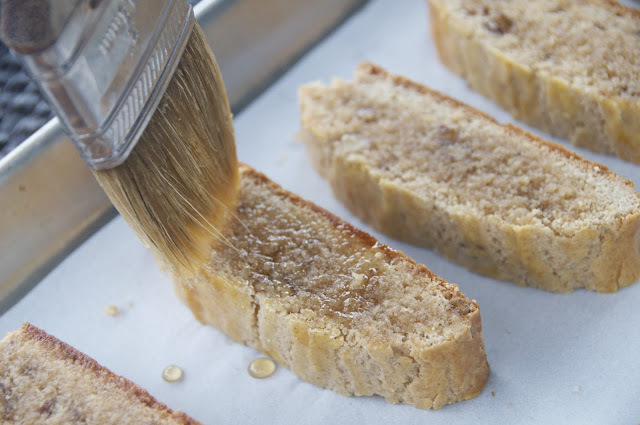 maple and cinnamon sugar and buttery pecan biscotti...or french toast biscotti. call them what you will, they are a fiiine tea accompanier. i dream of moving to london and having a daily tea time routine. and developing a slight, more intelligent-sounding accent, p'haps? but, i'm still in city where caffeine runs through it's veins. oh and i need to wake the heck up. so i'll drink tea and act intelligent tomorrow, coffee it is! fill up my cup. mazeltov! 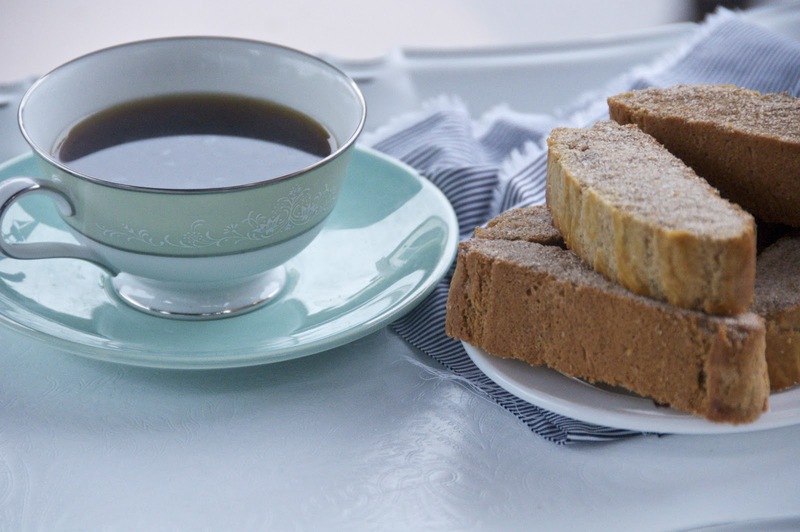 make biscotti. munch biscotti. preheat oven to 325. line 2 large baking sheets with parchment paper. mix flour, 1 1/2 tsp cinnamon, baking powder, and salt in a medium bowl to blend. with an electric mixer, beat 1 cup sugar and butter in a large bowl until fluffy. add 1 egg and beat well. add egg yolk, beat well. mix in vanilla and then dry ingredients and pecans. transfer dough to work surface. 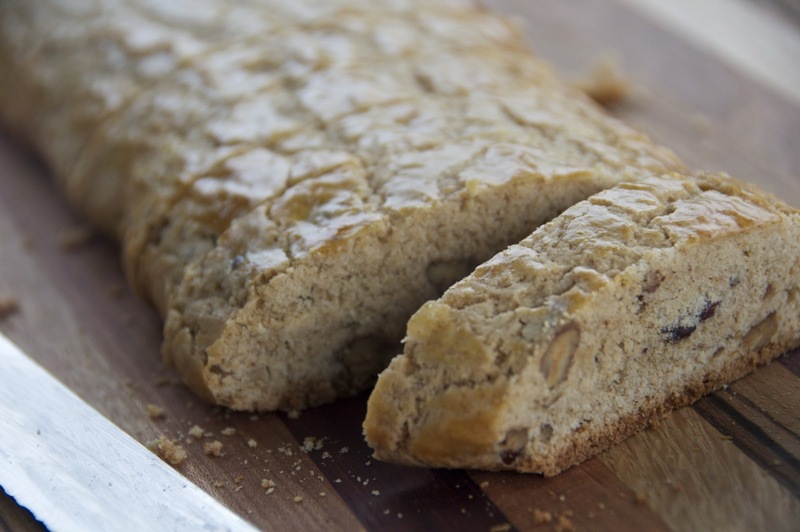 divide in half and shape each half into a 9-inch long, 2 inch wide log. transfer logs to baking sheets. beat remaining egg and brush the logs with the egg wash. bake until golden and firm to touch ( dough will spread), about 50 minutes. cool on baking sheets, keep oven on. 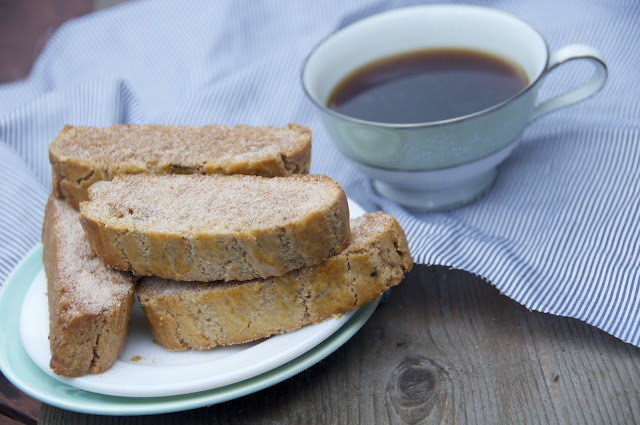 mix 3 tbsp sugar and 1 tsp cinnamon in a small bowl. 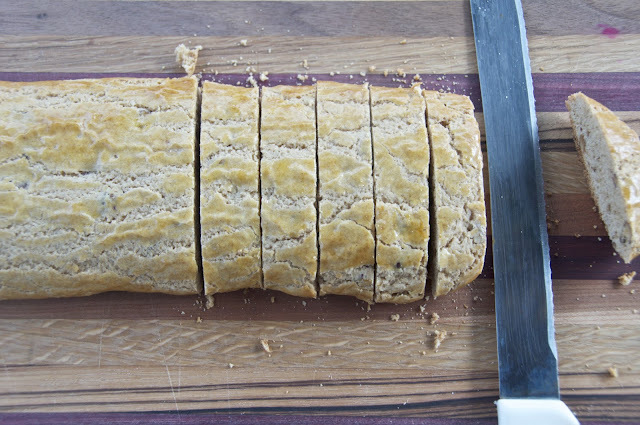 using a serrated knife, cut logs into 1/2 inch wide diagonal slices. 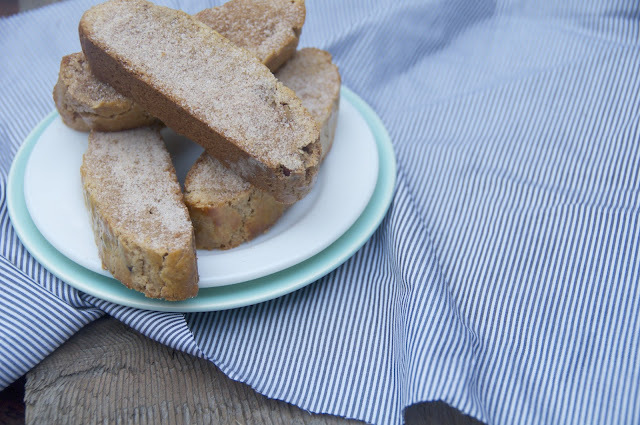 place biscotti cut side down onto baking sheets. 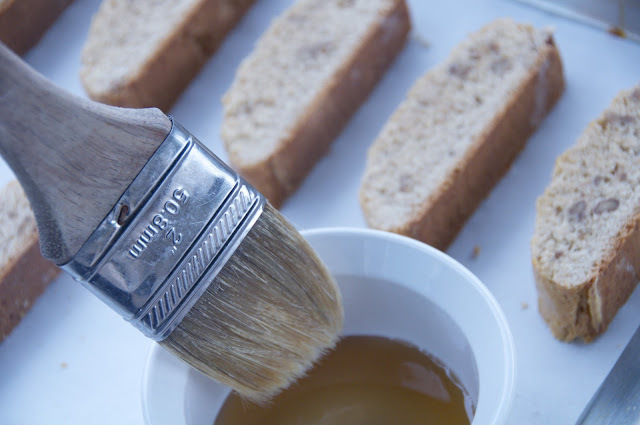 with a pastry brush, brush each biscotti with maple syrup. then sprinkle cinnamon sugar over each cookie. bake until pale golden, about 20 minutes. cool on racks. store in airtight container. French toast without anyone else's input is very flat, making it the perfect uncovered canvas on which to put a scope of garnishes.